The number of cars licensed in July dropped by more than 10 per cent compared to the same month last year. 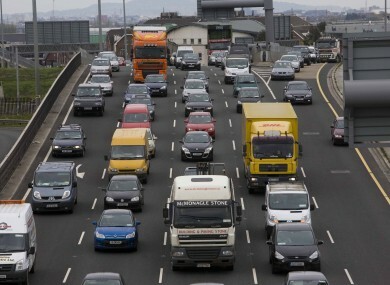 THE NUMBER OF cars licensed in Ireland in July dropped by more than 10 per cent compared to the same month last year, according to new figures. A total of 6,164 new cars were licensed in July, according to the Central Statistics Office. This compares with 6,953 in July 2011, a drop of 11.3 per cent. Volkswagen was the most popular make with 883 licensed in July. This was closely followed by Ford (735), Toyota (637) and Renault (486). More than three quarters of the new cars licensed (76.2 per cent) were diesel while 22 per cent were petrol. The total number of cars registered in the first seven months of this year was 65,100, a drop of almost 15 per cent on the same period last year. The number of new goods vehicles increased however in July. A total of 1,016 were registered, compared to 895 for the same month last year, making an increase of 13.5 per cent. Email “The most popular type of car licensed in Ireland last month? Volkswagen”. Feedback on “The most popular type of car licensed in Ireland last month? Volkswagen”.